Beaver Creek is open and worth the little extra drive! 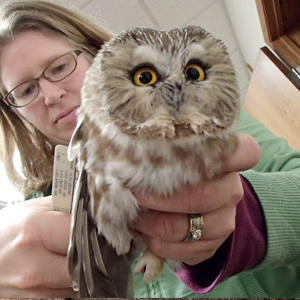 Wise Nature Center is now 100% solar powered. VISIT OUR SCHEELS DISCOVERY ROOM! Features new hands-on interactive exhibits for all ages! Stop by and begin your Beaver Creek adventure here. including archery, obstacle course, science center and more! Spend the night gazing at the stars. When the snow falls, it is time to hit the trails. 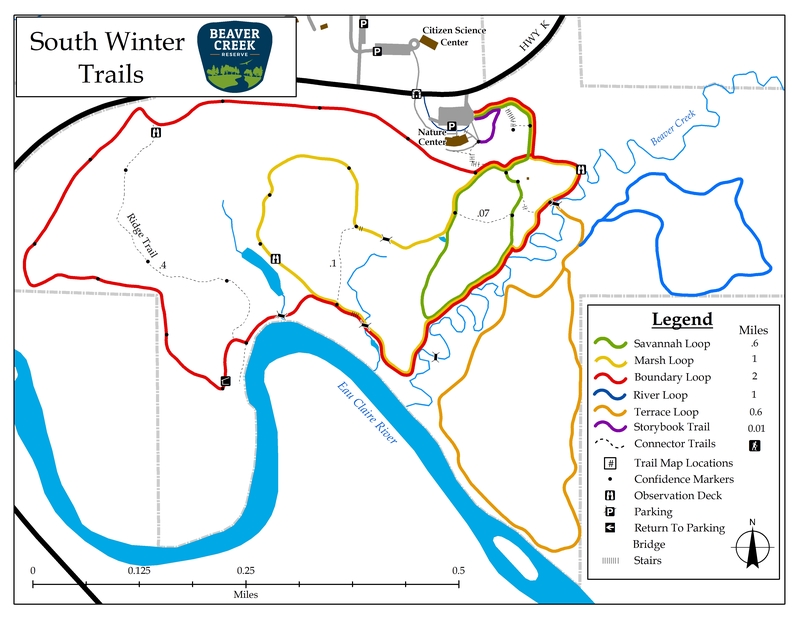 Explore the rich, natural diversity of Wisconsin's Chippewa Valley at Beaver Creek Reserve. 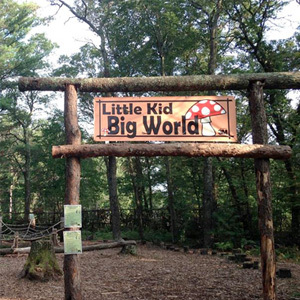 The Wise Nature Center is your starting point for exploring the reserve. Imagine the moon, planets, and galaxies appearing larger and brighter than when seen by the naked eye! Walk among and interact with a variety of Wisconsin's native butterflies in their natural environment. Enjoy several miles of scenic hiking, snowshoeing, and cross-country ski trails. Take advantage of all that our Wisconsin nature reserve has to offer. Enjoy the many different events and activities each season brings. Get the whole crew together to celebrate a milestone at Beaver Creek Reserve. Whether you stay for an afternoon or overnight, the nature reserve has tons of stuff for all ages. Get together to celebrate a milestone! When the snow flies it is time to hit the trails. Beaver Creek offers snowshoe and cross-country ski rentals on property. 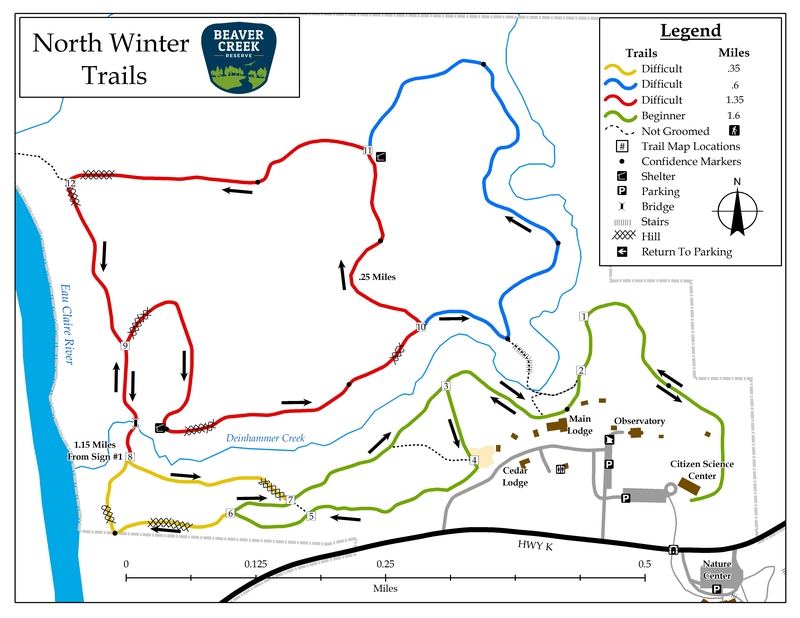 Contact us for trail conditions. It’s been a year since we’ve seen some of these colorful little birds. Peak Warbler migration is mid-May. Join us for an identification by sight and sound refresher before the returning Warblers are here. Find more things to do throughout the year. At Beaver Creek Reserve, we Connect People with Nature. 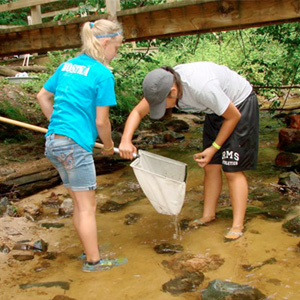 Through involvement with our organization, youth and families take part in numerous activities that expose them the vast natural world around us. Check the links below to learn more about how you and your family can become involved at the reserve.